Shanklin, on the Isle of Wight, might be small, but it certainly packs a punch when it comes to having a classic British seaside break. There’s something thrilling about crossing the Solent to get to the small village of Shanklin on the Isle of Wight. As if taking to water and leaving the mainland behind makes it a ‘proper’ holiday. A sleepy little village parish until the 18th century, it was in the Victorian era that the Isle of Wight really started to buzz and become a place to relax and rejuvenate. Today millions of visitors come to enjoy its sandy beaches and excellent music festivals, as well as the pretty little village of Shanklin. With a collection of thatched cottages, Shanklin has a delightful, traditional countryside appeal alongside its lively seafront. Throw in a beautiful, long sandy beach and it has all the ingredients for an ideal British seaside escape. Here’s how to make the most of a weekend in Shanklin on the Isle of Wight. Check in to: Keats Cottage, a boutique Bed & Breakfast that serves up poetry alongside its sumptuous rooms and delicious food. Named after the poet John Keats, who visited Shanklin often and stayed at the property when it was named Elgin House, it’s a charming place to rest for the weekend. Have a drink at: Fisherman’s Cottage, a thatched pub on the beach that dates back to 1817. Famed for their selection of real ales as well as a gorgeous views, it’s the perfect place to watch the sun go down at the end of the day. Eat at: Pendletons, a modern restaurant much loved by locals. Fresh ingredients from local suppliers are whipped up into tasty meals by owner and chef Steven. An extensive wine menu accompanies the delicious dishes. Take a walk: through the Old Town. Clusters of thatched cottages and stone houses painted in a rainbow of colours make Shanklin Old Town one of the prettiest spots on the island. Stroll the cobblestone streets and duck in and out of the giftshops and tearooms for the morning. 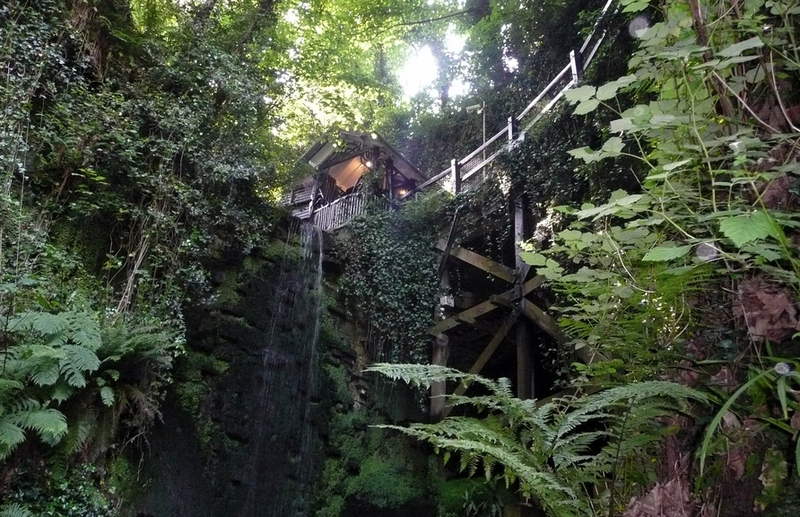 Visit: Shanklin Chine, a deep gorge slicing through the cliffs that’s now opened up to visitors with walkways and stairs. You’ll meet chipmunks and red squirrels, and if you’re unlucky you might come across a rare spider that lives almost exclusively in darkness. There’s a fascinating history here, too. The Chine played a significant role in the smuggling trade, and it has been explored by literary greats like Jane Austen, Charles Dickens and Keats. It’s also where one of the great successes of WWII began: a pipeline under the ocean (‘operation PLUTO’) ran for 70 miles from the Isle of Wight to France carrying fuel for the forces. Lunch at: the Happy Haddock. It wouldn’t be a British seaside break without fish and chips on the beach. Get yours to take away, stroll down to the seafront and eat it on the sand. Head to: the beach. 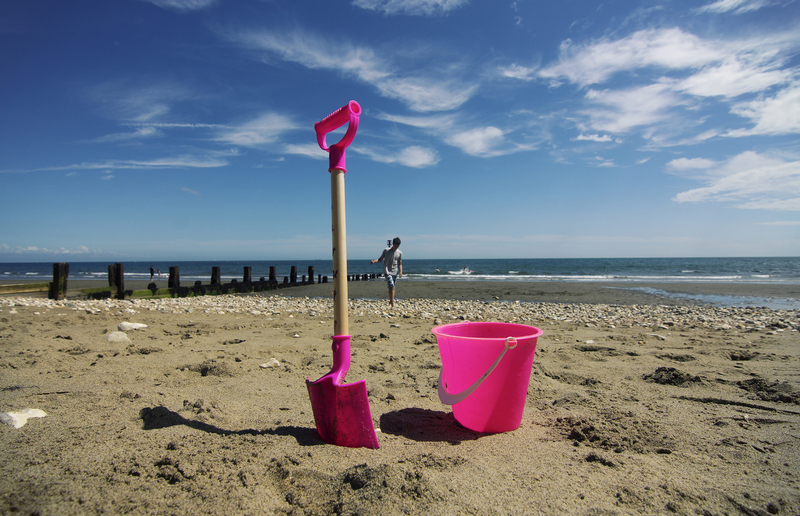 For a classic bucket and spade experience, Shanklin has miles of sandy beaches that run all the way to neighbouring Sandown. The seafront itself has plenty of activities and games, from crazy golf to zorbing. Cool down: at Lilly’s Ice Cream Parlour. A holiday isn’t a holiday without a hefty helping of ice cream. Get traditional flavours and scoops with a modern twist at this good-value ice cream parlour. Dine at: The Chine Inn. Half way back up the hill to Shanklin Old Town, this traditional pub serves classic British dishes, like ham, egg and chips and fish pie. The inside is cosy, but if the weather’s on form, the beer garden offers a beautiful view out to the ocean. Have elevenses at: The Old Thatch Teashop. This pastel pink, 17th-century building is one of many beautiful thatched cottages in Shanklin; indulge on the wonderful, homemade cakes and specially-blended breakfast tea. If it’s sunny, sit out in the cottage garden that overflows with flowers and shrubbery and bask in the sound of chirping birds as butterflies flit about. Visit: a model village. 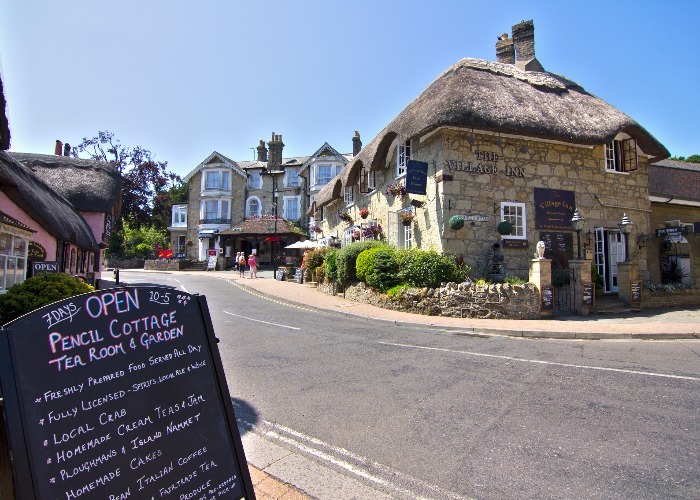 Just down the road from Shanklin is the quaint town Godshill, also host to many a straw roof and pretty cottage. It’s also home to Godshill Model Village. Set in the grounds of the Old Vicarage, it was created in 1952 to represents the local area as it was in the 1920s as a 1/10th scale model. The detail is astounding: crafted out of sand and cement for authentic weathering, buildings feature handmade thatched rooves, there’s a miniature railway, pubs, a cricket green – mid-match – an airfield, the local All Saints church, and even replicas of the 50-year-old oaks that are still only three feet tall. It all gets a bit meta when you discover the model village inside the model village, which is inside the model village. Listen to: an open air concert at the Bandstand in Rylstone Gardens. Throughout the summer months bands, singers and musicians from across the island play to the audiences gathering in the afternoon sun.